A new report finds nearly 18% of Iowa youth are obese, the tenth highest level among the 50 states. Jamie Bussel, senior program officer at the Robert Wood Johnson Foundation, says childhood obesity remains a major public health challenge, with significant financial and societal implications. Bussel says, “Nearly one in six young people in our nation has obesity and that puts them at a far greater risk for conditions like heart disease, type 2 diabetes, high blood pressure.” Scientists predict more than half of today’s children will be obese by age 35 if current trends continue. The report looked at youth from ages ten through 17. In Iowa, 17.7% of young people were obese, compared to the national average of 15.8 percent. “We all have a role to play in this issue and we need to be continuing to urge our policymakers at all levels of government to really prioritize obesity prevention and help all kids have a healthier future,” Bussel says. 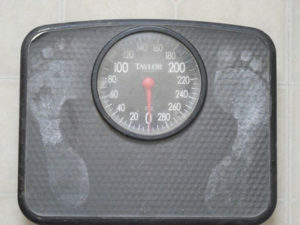 The health care costs of childhood obesity may reach 14-billion dollars this year versus $200 billion for adult obesity. Better diets and portion control paired with increased exercise are part of the solution, and she says we all need to be vigilant. The report shows Mississippi has the highest youth obesity rate at 26.1%, while Utah has the lowest, at 8.7%. While most states remained steady from previous surveys, only North Dakota saw a significant drop in youth obesity rates this year.